Earlier this year, my family adopted a rescue dog and we have quickly become that weird family that dresses up the dog and the kids in matching Halloween costumes. My family is smitten with our furry new addition and really want to include him in the fun. It’s funny – before we got our dog, we focused all of our attention on fun Halloween costumes for the kids. We have now shifted our focus to finding Halloween costumes for the dog, too. 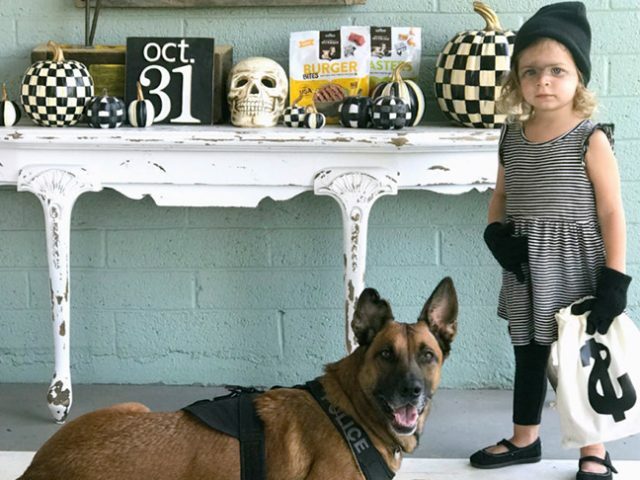 Whether you’re trying to be spooky or just plain silly, I’ve found some dog and kid halloween costumes ideas that take couple costumes to the next level. Some are store bought, some are DIY and all of them prove that dogs are really a kid’s best friend. If you’re thinking of dressing up both your dog and your kiddo this Halloween, look no further for inspiration.